Jacob Andriana is one lucky boy. 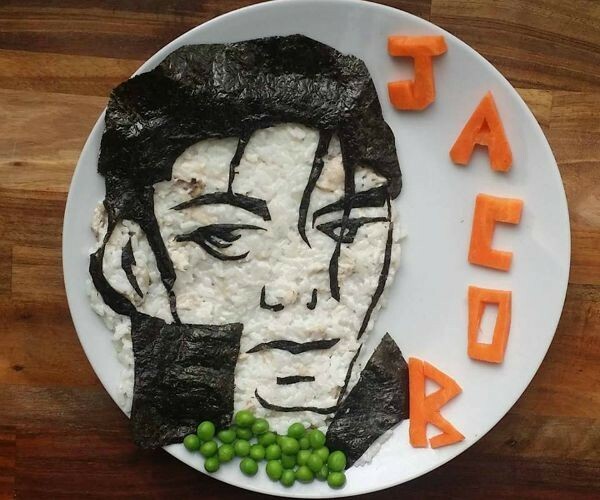 Every day he enjoys his meals in the company of some of his favourite television, book and movie characters. And it’s all thanks to his masterchef mum, Laleh Mohmedi. But where does Laleh get her inspiration? Just how long does each meal take to prepare? And, what’s next for the talented and dedicated young Melbourne mother? We were lucky enough to grill the talented mum behind the magical meals that Jacob (and the rest of the world) are eating up. What started as a small experiment in the kitchen has evolved into so much more. 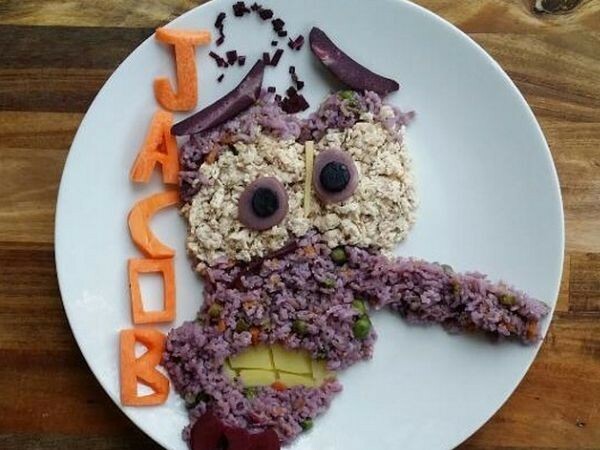 In the span of one month, Jacob’s Food Diaries has become the latest social media food sensation. 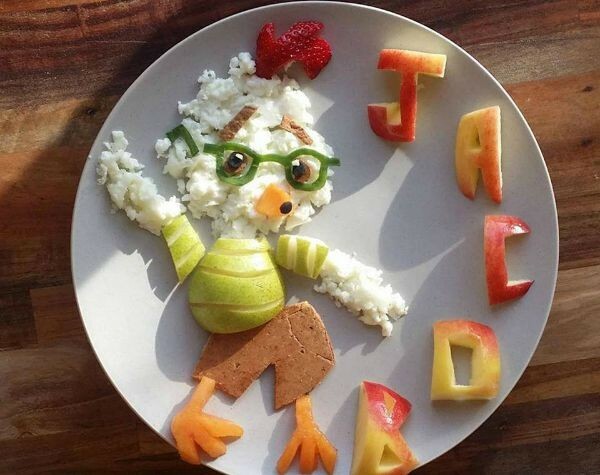 And it’s all thanks to two-year-old Jacob’s mum, who dishes up delightful characters for breakfast, lunch, dinner and even snack time. 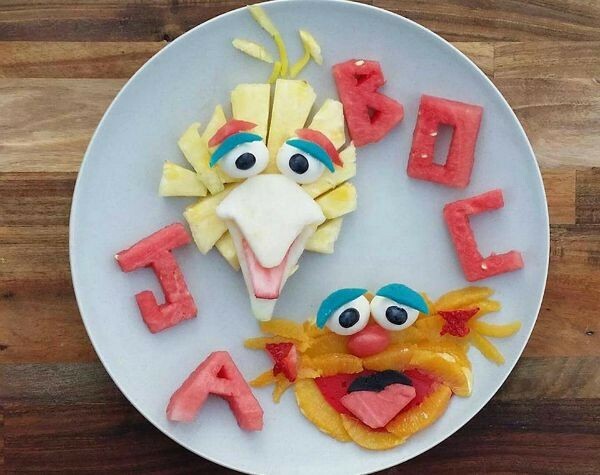 “One day I decided to turn Jacob’s pancakes into a lion which could have easily passed as a bear- he absolutely loved it, so it progressed from there,” Laleh tells Babyology. In the past four weeks, Laleh has designed characters from popular movies such as The Lion King, Monsters Inc, Kung Fu Panda, Shrek, Home, Turbo and The Minions as well as television characters Spongebob Squarepants and Patrick, Peppa Pig and the gang at Sesame Street. 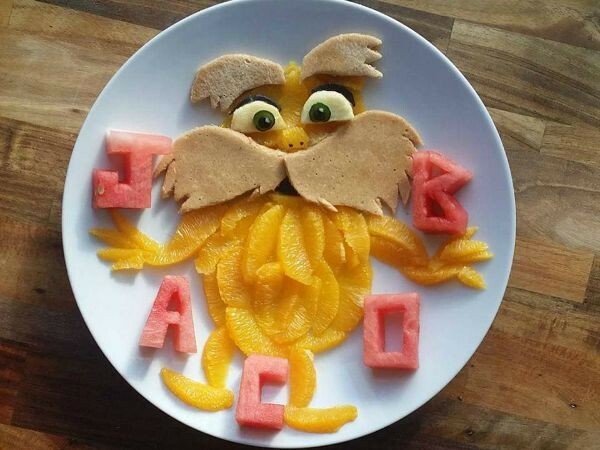 Even some of our favourite characters from books have made an appearance on the plate including Chicken Little, Grug and The Lorax. 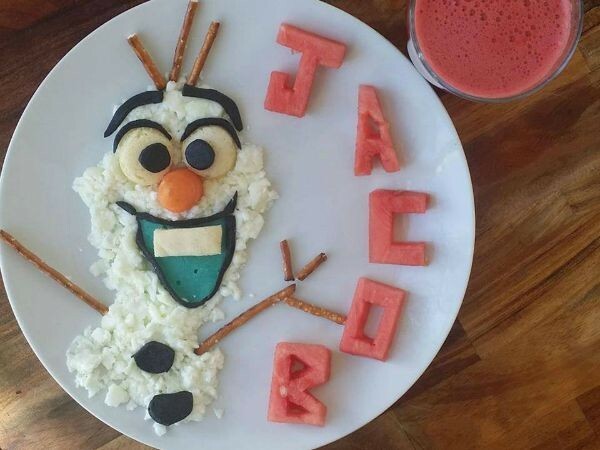 And, of course, it just isn’t a plate party without Olaf from Frozen. 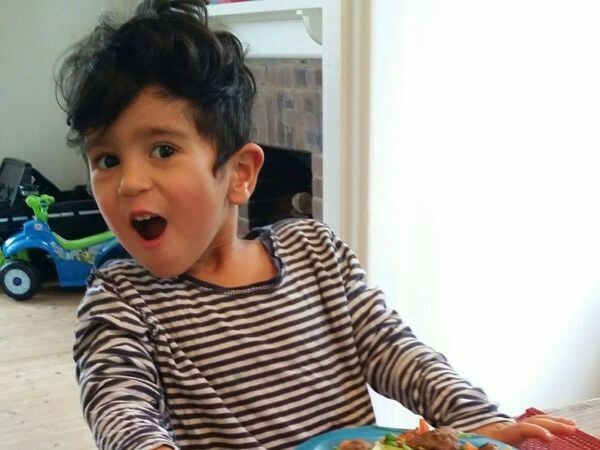 Laleh admits that Jacob has a pretty healthy appetite and has never been a fussy eater. “Serving it this way just makes it a little more fun. He likes to tell me which part of the character he is eating. 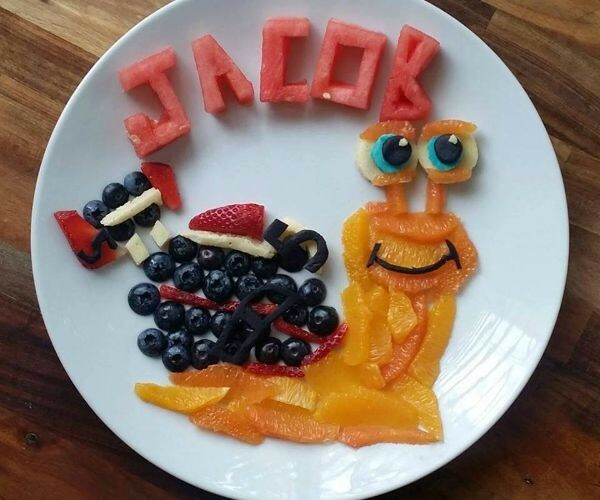 There is only character meal that Jacob has turned his nose up at so far. Which one? Fear from Inside Out which, his mother reports, was made from vegetable purple rice (purple carrots to dye the rice) and coconut chicken. “I’ve always been a big advocate in healthy, organic eating for children,” the young mum explains, so most of the meals include fruits, veggies and whole grains. Some of the other popular ingredients she uses on a regular basis include eggs, chicken, lentils, spinach, eggplant, wholemeal bread, apples, cucumbers, cherries, rice, strawberries, ham and peas. 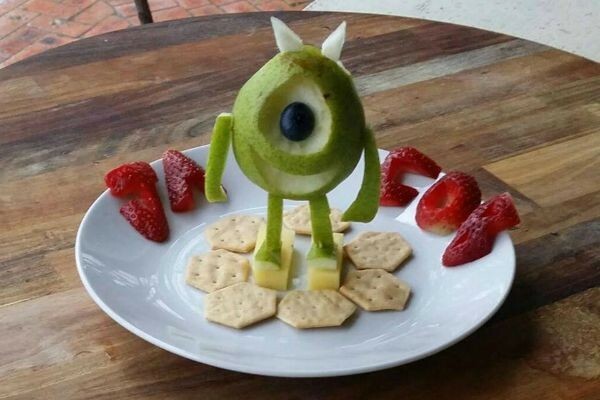 And, as complex as they may look, the ingredients are normally common staples most of us pick up at the shops every week, such as pear, cheese, strawberries, blueberries and crackers, as used here to craft Mike from Monsters, Inc. 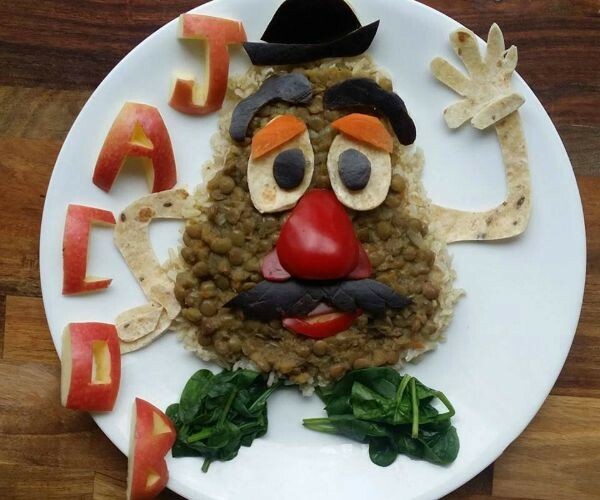 It is evident by the receptive response to Laleh’s delightful dishes that parents have a hunger for healthy and creative meal ideas. Laleh says that she hopes to soon create a book to inspire other mothers to make healthy food fun for their kids. 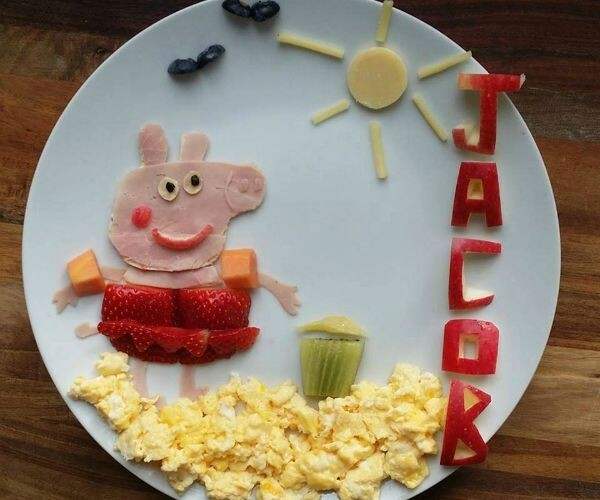 We can’t wait to see what’s next on the menu for this talented young mum, her little man and their cartoon culinary creations. For even more fun in the kitchen check out these epic school lunches, this incredible Lego Bento Box and these delicious Disney-inspired pancakes. 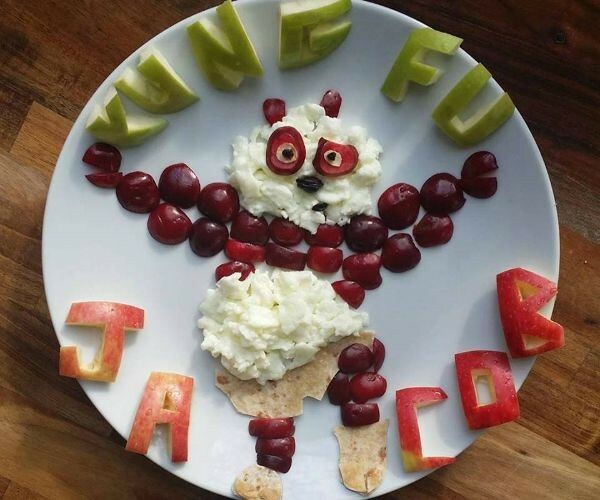 And be sure to follow Jacob’s Food Diaries for weekly meal-time inspiration by the mouthful.